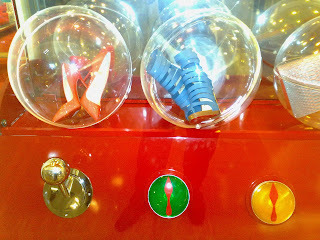 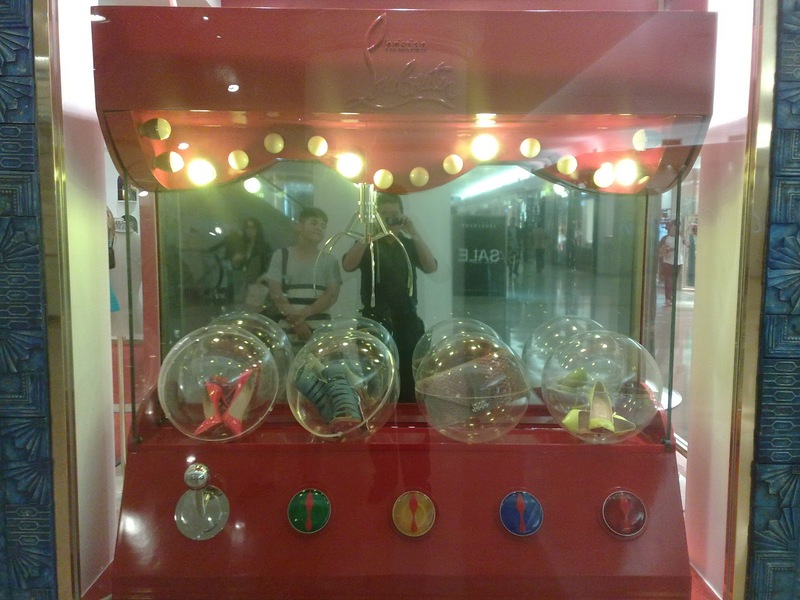 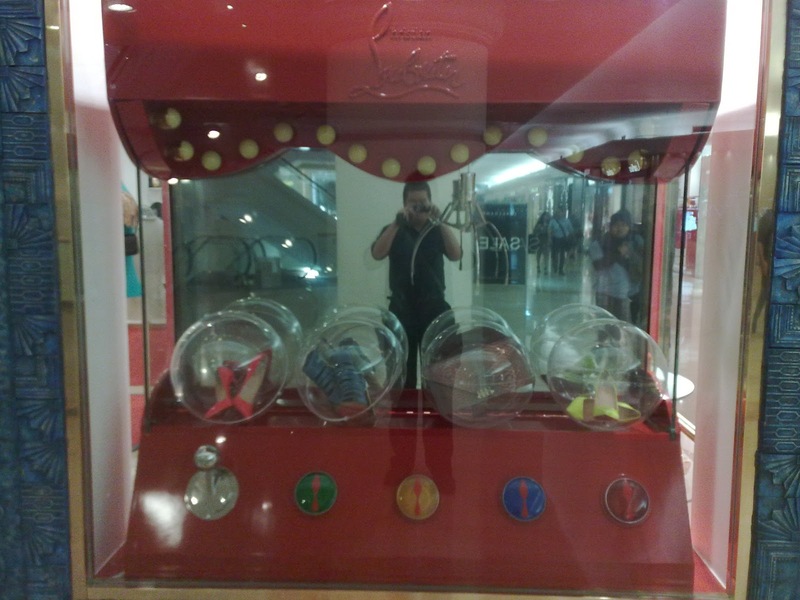 A big red prize claw box is placed in the Christian Louboutin window display at Plaza Indonesia. The box is completed with blinking yellow neon bulbs to attract ever passer by. 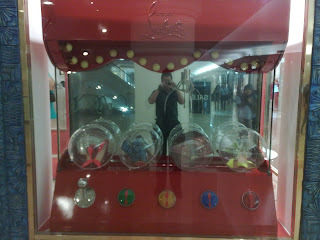 Inside the box are the glass globe with Christian Louboutin shoes, heels, even clutches. 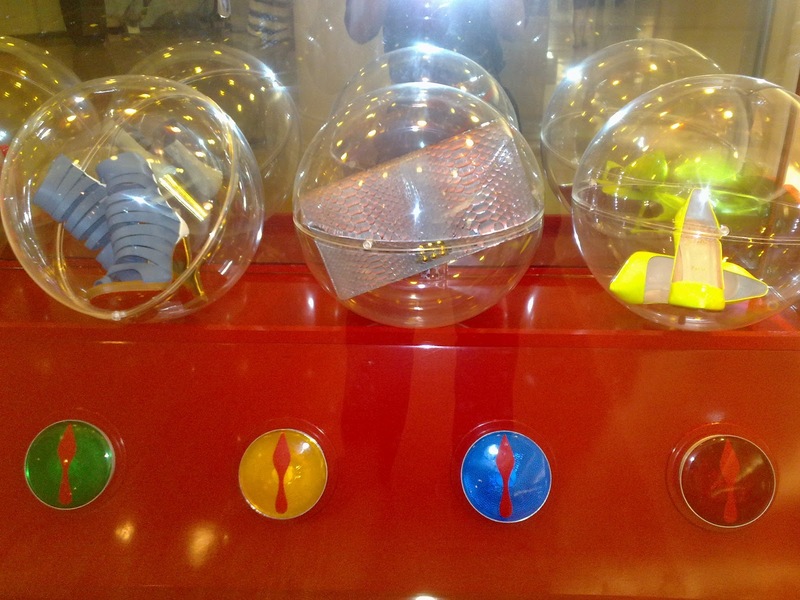 This might be a great idea to become a toy for super rich people in the future.